Fast food giant is looking to school its rivals with new “college potato” fries. To succeed in the Japanese fast food industry, you’ve got to continually present people with new reasons to come through your doors. Just rolling out new main dishes isn’t enough, either. If you really want to stay ahead of your competitors, you need to regularly shake up your side order menu too. 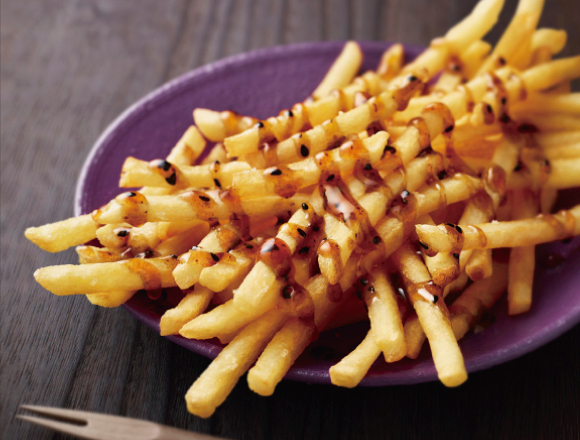 In pursuit of such innovation, we’ve seen McDonald’s Japan offer French fries with chocolate and pumpkin sauces. Now, the chain is getting ready to start selling a brand-new French fry creation, although it’s one that draws inspiration from Japanese comfort food. Going on sale next week are McDonald’s Japan’s daigaku imo French fries. Daigaku imo, literally meaning “college potato,” is a popular sweet potato snack with a sweet sauce, and allegedly gets its unusual name from being a hit with cash-strapped students looking for a cheap yet tasty way to quell their hunger between regular meals.